Outdoor Advertising | Marketshare Inc.
Approved by the State of California and many local communities to provide “real estate for sale” awareness. 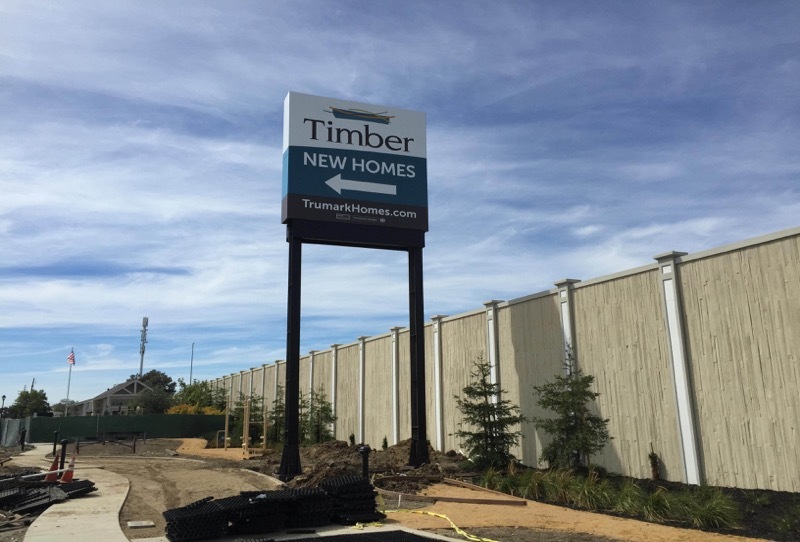 These larger billboard type real estate signs are an extremely effective way to develop awareness and provide direction to your buyers. Signs are placed in locations where they stay up on a permanent basis. Strategically located to promote your community within your marketing area. An excellent medium to create awareness on a local geographic basis. Approved in certain cities specifically to provide home builders with a cost efficient and aesthetic way to direct buyers to their communities. These signs provide a sense that your development is an integral part of the community. Direct potential customers right to your doorstep. Weekend Pathfinder signs are the best and most cost effective way direct traffic to your development. Signs are placed on Friday evenings and remain up until Sunday evening. Surveys show that 70% or more of your traffic comes from signage. Weekend buyers are looking for these open house style signs. Many cities prefer that home builders use the weekend A-Board or Sidewalk sign rather than other types of weekend advertising. We place the signs for you on Friday evenings and pick them up on Sunday. Perfect for busy city sidewalks. These sidewalk signs were speci cally designed for urban areas where there are few other opportunities to place advertising signs. They are heavy and engineered to withstand wind loads and the challenges with pedestrians along city streets. High-Spirited Living Signs make for highly visual and e ective marketing. Human directionals are a form of guerilla advertising. They enable you to have a message presence when and where you want it. You can virtually target any market that you want with a Living Sign. Bold advertising strategically located to target major freeways and arterials near your community. An excellent medium to create awareness on a local and geographic basis. Rises high above your models to catch attention for miles around. Inflatables fly as high as 100 feet above your model complex to let local traffic know that you are open and close by. These spheres can be customized with color and copy. We place and tether them on Saturday and Sunday mornings and take them down on Saturday and Sunday evenings. Brightens up and livens up your model home complex. Balloon decor is an effective and inexpensive way to add a feeling of festiveness to your model complex. Create a party atmosphere with colorful customizable balloon decorations. Outdoor Advertising Where You Want It, When You Want It. Let us help you fulfill your outdoor advertising needs.